Custom is the keyword at Sag Harbor Industries. Our team of engineers has a long track record of creating innovative and creative solutions. Our staff of engineers is comprised of experts in relay, coil and computer aided design. Sag Harbor Industries is ready to partner with you to create encapsulated coil and other products of superior quality, durability and cost efficiency. Our encapsulated coils are some of the best on the market. Encapsulated coils function similarly to that of solenoid coils except that these encapsulated coils due to the fact that they are coated in a resin that covers the wire. This means that encapsulated coils are much more efficient at protecting wires against moisture and other types of damage. 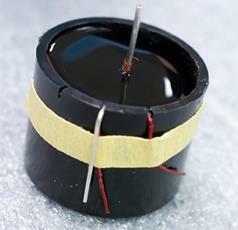 Because of this, encapsulated coils are considered to be a stronger type of electric coil. This also means that there are a number of different encapsulated varieties based on the type of industry that you are in. Here at SHI we offer a number of different options in order to provide you with the custom encapsulated coil that works for you. Here at Sag Harbor Industries, we take a lot of pride in offering our services to a wide range of industries. We have experience working with clients in a number of different fields from aerospace to marine; we’re not afraid of a challenge. In fact, we enjoy working with our clients on their projects in order to ensure that we are able to provide them with a solution that works for their unique needs and work environment requirements. From Rugged electrical components and automotive systems to flow control systems, Sag Harbor Industries would be happy to provide you with a high quality, efficient product. We place a priority on quality. 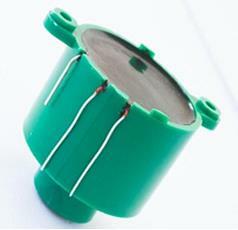 Our coils are produced in compliance with our ISO 9001:2008 certification. We maintain the absolute highest quality control measures to ensure customer satisfaction. Our self-auditing and inspection techniques are rigorous and thorough. Our team undergoes training and certification programs to ensure expert craftsmanship. Our ISO 9001:2008 certification gives our customers the confidence that our production facilities, our internal and external auditing methods and our quality control procedures meet or exceed international standards. We consistently rank in our customer’s “Highest Vendor Ratings”. From product conception to application, our goal is to produce the highest quality product; as well as to deliver it on the designated date consistently and to continually improve in every aspect of our business. Sag Harbor Industries is a conscientious manufacturer. As a quality first company, the workmanship of our products is just as important as its price. The quality of American made products is second to none. 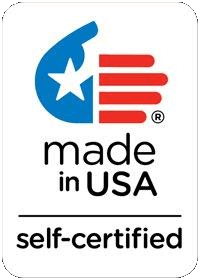 Our customers can be assured that not only are Sag Harbor Industries products Assembled in America, they are also Made In USA and we wear that distinction proudly. With our deep rooted history in the United States, we are proud to say that we manufacture our encapsulated coils in our New York and North Carolina facilities. We believe that the Sag Harbor Industries family of companies provides innovative solutions to all of our customers. Contact us today for more information on our encapsulated coils or any of our custom coils! All content and images © ~ Sag Harbor Industries, Inc.